HANOI: The UN Development Programme (UNDP), the World Health Organisation (WHO) and HR Wallingford company on March 19 launched a pioneering dengue forecasting system in Vietnam, hoping to curb the spread of this disease in the country, Vietnam News Agency reported. The D-MOSS project, funded by the UK Space Agency and is led by the HR Wallingford — a British civil engineering and environmental hydraulics consultancy, will be implemented in Hanoi and Khanh Hoa, Dak Lak and Dong Nai provinces during 2019-2021. It uses a combination of satellite information, weather forecasting and historical data on previous outbreaks to create an early warning system for potential dengue danger zones. 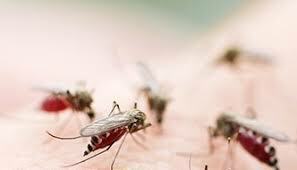 UK-funded dengue forecasting system introduced in Vietnam 0 out of 5 based on 0 ratings. 0 user reviews.